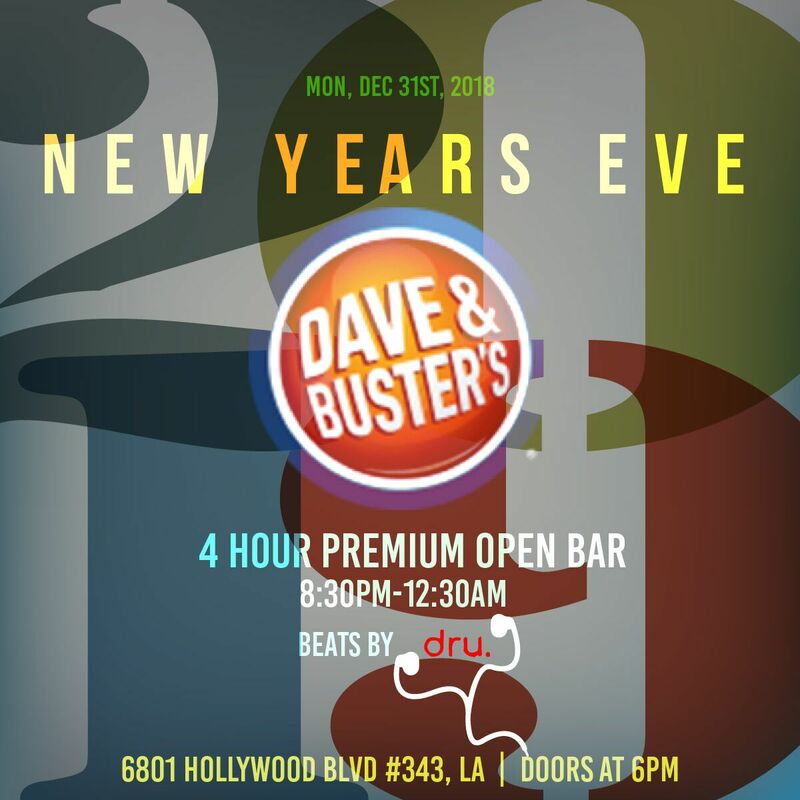 Dave & Buster's Power Cards are NOT included with this ticket and are available for purchase the night of the Event. Under 21's must be accompanied/supervised by an adult 25+ years old. Please note this ticket will not grant you access into the VIP Seating area. For a seated option or access to the Seated VIP section please see the Seated VIP option. This one of a kind venue is a play emporium for LA partygoers. With thousands of square feet of fun, there is always something to do. This year, the fun is extended to all ages. Some of Dave & Buster’s famous guests include Justin Bieber, Selena Gomez, Kim Kardashian, and Blac Chyna. Countdown to the New Year on Hollywood Blvd., and enjoy endless possibilities. Indulge in a five-hour premium open bar while putting your gaming skills to the test. Bounce from friendly competitions to the dance floor where non-stop music will be played by a live DJ performance. 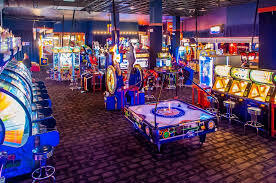 The endless rows of video games, complimentary food, warehouse-style ceilings, color-changing bar backdrop, and casino-style floors offer an unconventional atmosphere where your inner preteen gamer can let loose. Are you crazy for some classics? Check out the ultimate throwbacks such as Pop-A-Shot, Pac-Man, and Skee-Ball. Want to fast forward a few years? Dance Dance Revolution, virtual car racing, and dozens of in-store simulation games are right at your fingertips! 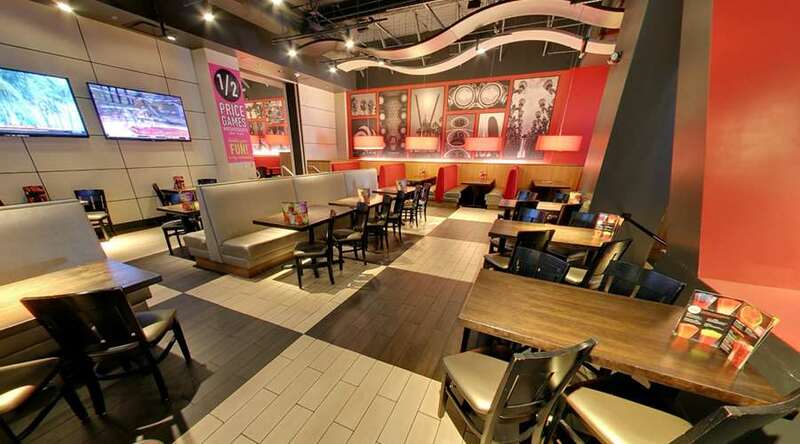 Enhance your one of a kind night with Dave & Buster’s VIP packages. Nothing says Happy New Year like video games and cocktails, or video games and soft drinks for those under 21. In a venue so close to the Hollywood Walk of Fame, this NYE celebration is destined to be amazing. 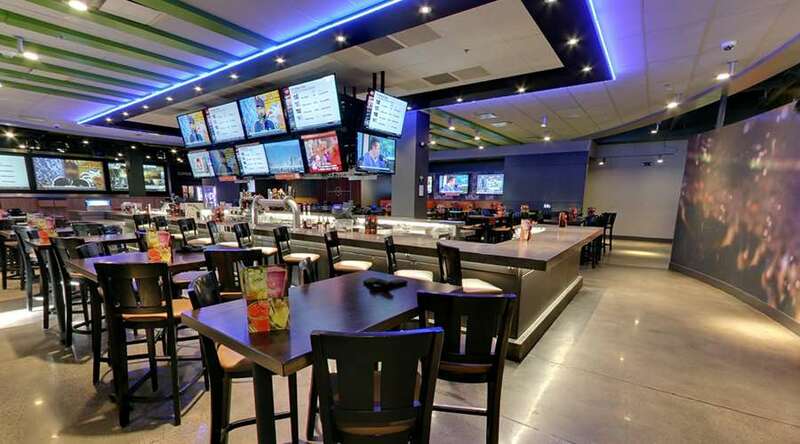 Some of Dave and Buster’s biggest fans include Justin Bieber, Selena Gomez, and Blac Chyna. Gather with LA partygoers to ring in a night filled with epic gaming, memories, and fun for all.